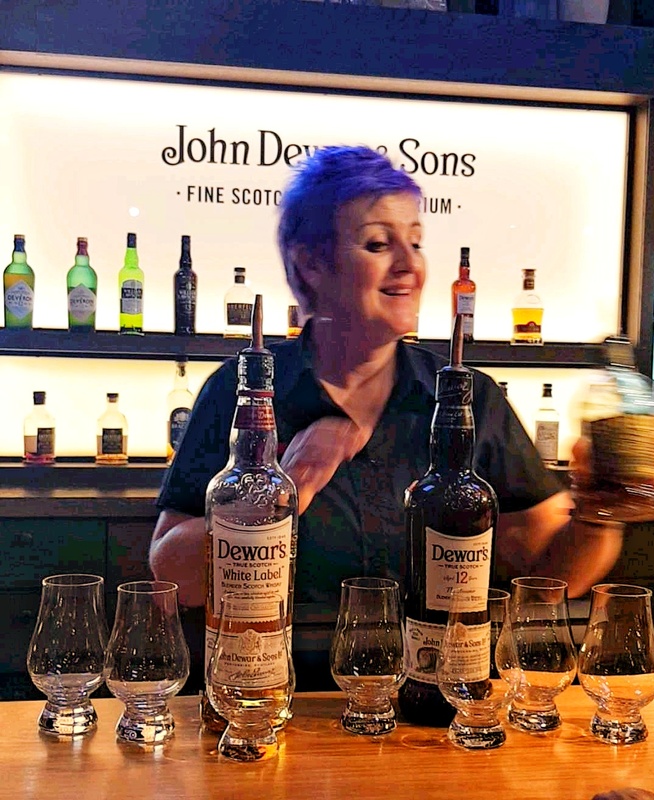 If you’re here on a budget and have just a day or two to spend, here are somethings that you must do to get acquainted with the capital city of Scotland. Stay around the Royal Mile to make the most of Edinburgh. There are plenty of walking tours that happen at the Royal Mile including the night walk or the Ghost walk. The Free Ghost Tour starts every night at 5 PM, 7 PM & 9 PM at The Royal Mile. 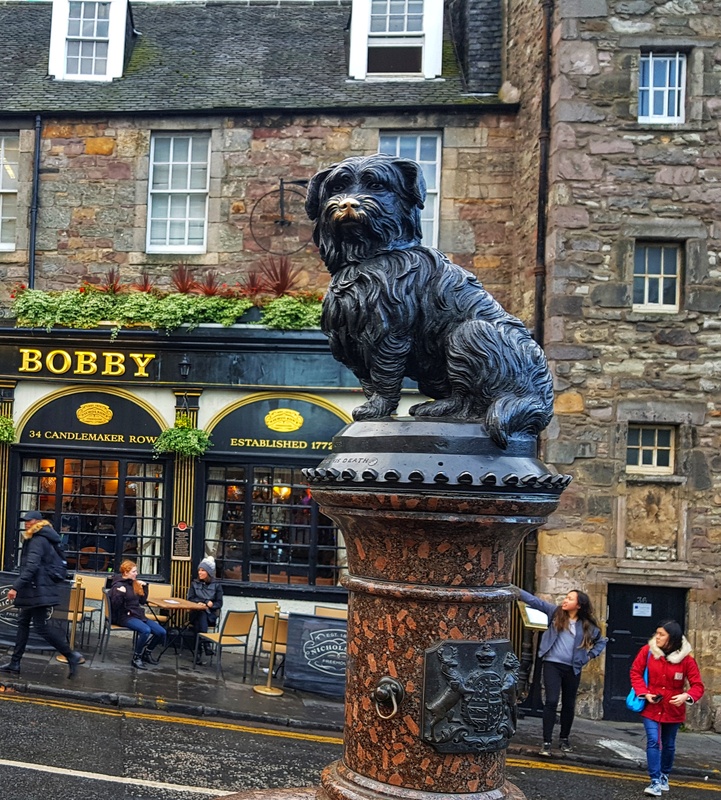 The guide will walk you around into alleyways, haunted buildings, the graveyard and abandoned lands and share ghostly tales and sinister stories that will transport you back to the terrifying past of old Edinburgh. Another free walking tour where the guide takes you around and acquaints you with the history of the beautiful Edinburgh. So many stories, so many beautiful creations and so much culture. Be prepared to get amazed with stories like Maggie Dickinson’s magical life to Bobby the dogs miracle! Edinburgh is truly a land of miracle tales! Talking about magic, Edinburgh without a doubt, is an inspiration for many authors and poets. The most popular one being J.K. Rowling. 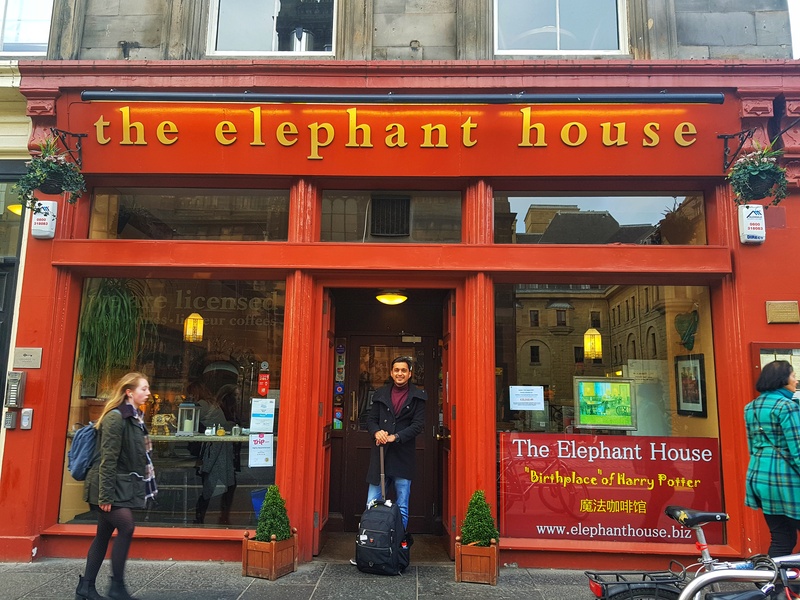 Yes, you heard that right, J.K. Rowling penned down her first part of the Harry Potter series right here in Edinburgh and apparently The Elephant House was where she put her thoughts together over several cups of coffee. So when in Edinburgh, you definitely need to make a pitstop here to enjoy a few snacks alongwith some fabulous coffee. Every night is a party night in this city. Meet people from all parts of the world in the guided Pub Crawl. Walk on the wild side through various back streets to find the best kept pub secrets. Drink up at every pub and shake a leg to the cultural music. Definitely a must-do when here! P.S. : Don’t miss out on the fabulous road shows that happen at the Royal Mile all through the day! Posted in Budget Travel Tips, Edinburgh, Places to visit, Scotland, Special Event, Travel, United Kingdom, Weekend Getaway, Where To Stay, World TravelTagged award winning travel blogs, best travel blogs, budget travel, chandni tolani, ediburgh, England, featured, free tours in edinburgh, ghost town, harry potter, india, india travel, j k rowling, pub crawl edinburgh, royal mile, Scotland, scotland tourism, travel, travel blog, travel bloggers, travel blogging, travel diaries, traveler, travelers, traveller, trips, weekend getaway, wishful wanderer, world travelBookmark the permalink. Yes, Edinburgh is a beautiful city and our trip was wonderful. Looking forward to going back. Have you been? Thank you! It was definitely a lot of fun. 🙂 You should visit too. 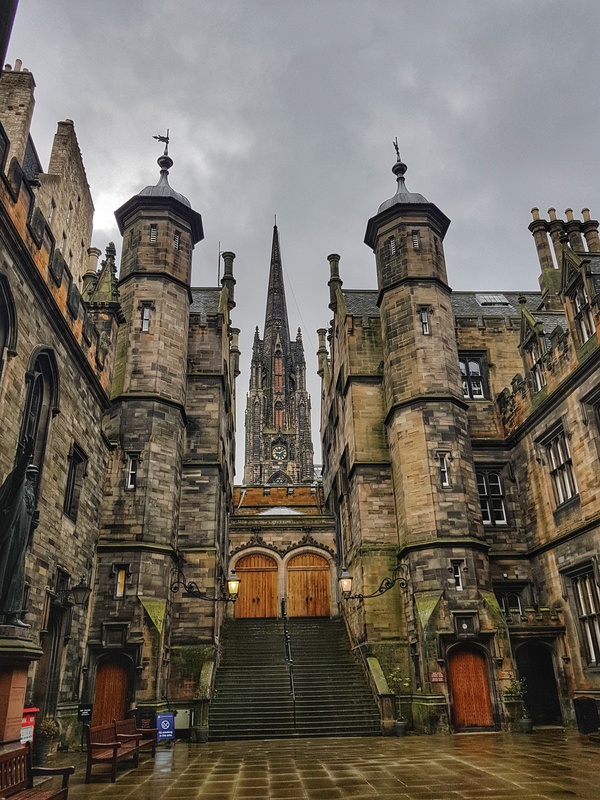 I haven’t had a chance to visit Edinburgh yet but really wanna go, especially now that I found out about its connection to Harry Potter story! It’s totally worth it! You will find references to Harry Potter everywhere in Edinburgh. Edinburgh is magical. We only spent a couple of days here on our way to the Scottish Highlands, but I found it to be extremely affordable for a city in Europe. The Ghost Walk sounds like such an incredible experience, perfect on a foggy, Scottish day. Oh yes, the highland tour was mind blowing. I had no idea that this is where J.K. Rowling created Harry Potter. Great info! Also, I’m dying to take the Ghost Tour! Oh yes, lots of Harry Potter references everywhere in Edinburgh. Paradise is here! I would love to visit Edinburgh, despite being from the UK, I’ve never been to Scotland. These are some great suggestions for when i finally make it. .. particularly the HP cafe! I almost went to Edinburgh, but they canceled my flight, because of the strike of the airlines. I booked a tickets to Edinburgh for next month. I hope they wont cancel the flight. Is it possible to do all activities above during the weekend ? Yes, absolutely. We were there on a weekend too! Ha, I can’t wait until I can go to Edinburgh! It looks like such a beautiful town. Not gonna lie, I also want to visit for the HP references. You totally should visit! It’s magical. Edinburgh is full of stories, you will love it. You must plan a trip soon. Great tips, especially the first one. The haunted tour would be my pick, and since I want to go back to Edinburgh as soon as possible I really cannot missi it this time. 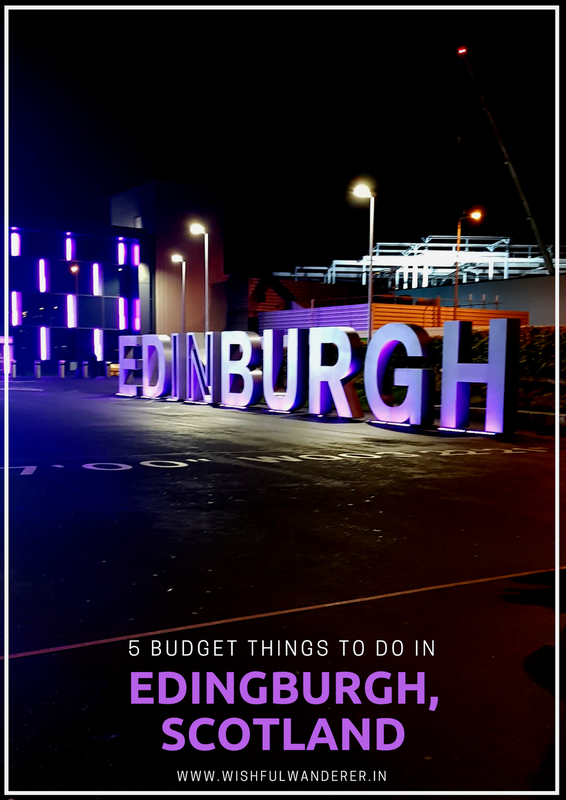 It’s the best thing to do in Edinburgh! You must add it to your itinerary. Loved your photos and details of your trip! I’ve always wanted to visit, it’s high on my wish list after seeing your post! We are headed there soon so I loved reading this article! As we always like to save a little money where we can this post was very helpful. Thank you! Awesome! Hope you have a lovely trip. Do share your experience once you’re back. Reading your post was a total nostalgia and reminded me of my lovely trip to Edinburgh last year! And how I want to visit again! The Ghost tour, Booby’s statue..they are so fresh in the memory. I also enjoyed a visit to the Scottish Parliament, the University and walk on the beach! Want to make my another trip to lovely Scotland soon! Will definitely be visiting the Elephant House, as a massive Harry Potter nerd the sheer idea brings me joy! You should! Edinburgh overall has a lot of Harry Potter references! Heh, somehow Edinburgh is a place I associate with pub crawl, so thanks for making it into this list. I would for sure visit some of the notable pubs there. Oh yes! The Pub Crawl was a lot of fun! Yes, it can get expensive if you don’t plan it right. But these things you should add to your itinerary either ways! I was there as a young backpacker in 1986 – it seems a lot has changed so a return visit is well overdue.